10 Graduate in any discipline from any recognized University. 02 4 years Engineering Degree in Computer Science/Computer Applications/Information Technology/Electronics/ Electronics & Telecommunications /Electronics & Communication /Electronics & Instrumentation. 02 4 years Engineering Degree in Computer Science/Computer Applications/Information Technology/Electronics/ Electronics & Telecommunications/Electronics & Communication/Electronics & Instrumentation. Minimum 2 years experience in maintenance and administration of Operating Systems e.g. Windows, Linux, Unix, AiX etc. 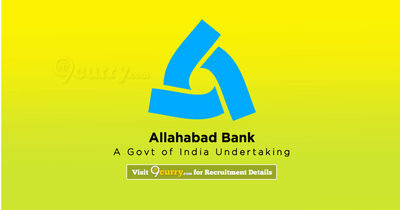 Eligible candidates may apply online at Allahabad Bank's website (direct link is given below) from 09 Apr 2019 to 29 Apr 2019.